IT'S over 200 years since the locals of little St Michaels in Maryland employed a wily scheme to save their town from attack by the British Navy during the relatively little-known War of 1812, and which led to St Michaels to this day being known as "the town that fooled the British." Founded in the mid-1600s as a trading post for pioneering tobacco farmers and trappers, St Michaels later went on to become an important shipbuilding town on America's north-east coast, with a half-dozen yards of significant size by the 1800s. 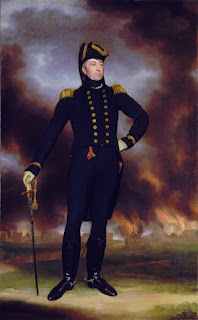 And when America declared war on Great Britain in June of 1812 in its first-ever such aggression on another nation, the British saw the importance of putting a stop to the output from those St Michaels shipyards. So pre-dawn on August 10th 1813 the British moved a small fleet carrying 300 red-coated marines into Chesapeake Bay on which the St Michaels shipyards were located, and in darkness sent these men ashore. Long anticipating such an attack on their yards, the residents of St Michaels got a few rounds away from some cannons they had along their harbour-front, but knowing they were greatly out-numbered, fled back into the darkness. Delighted, British Admiral Sir George Cockburn recalled his men to their ships, declaring he'd wipe little St Michaels off the map with cannon fire from those vessels. And it would be with the assistance of the townspeople themselves – whom he noted to fellow-officers, had foolishly left so many lights on overnight in homes and shipyard buildings that they made for perfect targets. After firing off some hundreds of cannonballs and seeing the number of those lights diminish with each salvo, Admiral Cockburn declared his job well done and sailed off into the sunrise without even bothering to check the extent of damage he'd caused. Had he done so, he would doubtless have been mortified to find that for all his effort, he had in fact hit just one building. And that was a private house through whose roof a cannonball had crashed into the attic below, and from there bounced down the stairway to land at the feet of a very shocked Mrs William Merchant and her baby daughter who'd been awakened by the bombardment…. 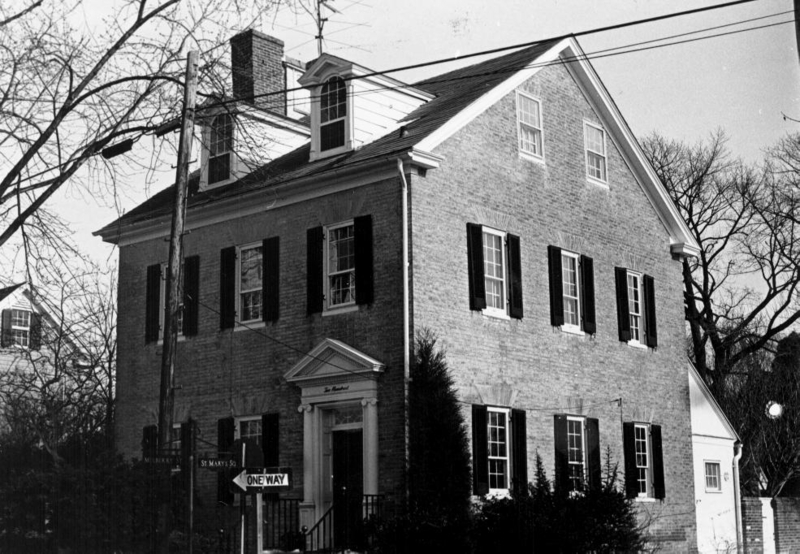 So Admiral Cockburn had simply sent his cannonballs sailing harmlessly over the darkened settlement into that forest behind St Michaels, earning it the title "the town that fooled the British…"
Two hundred and two years on, Mrs Merchant's house is still a private residence, although officially listed as the Cannonball House on America's National Register of Historic Places. Shipbuilding in St Michaels waned in the later part of the 1800s to be replaced with oyster harvesting and crab catching, and today tourism is the major industry in this little town of a mere thousand or so leisurely living folk. 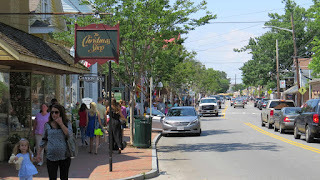 Once listed Number 8 in the Top Ten of Romantic Escapes in the USA, St Michaels has also been described as "a treasure on Maryland's Eastern Shore" with colourfully picturesque Colonial, Federal and Victorian era homes, churches and public buildings, and prides itself on its rich maritime heritage. 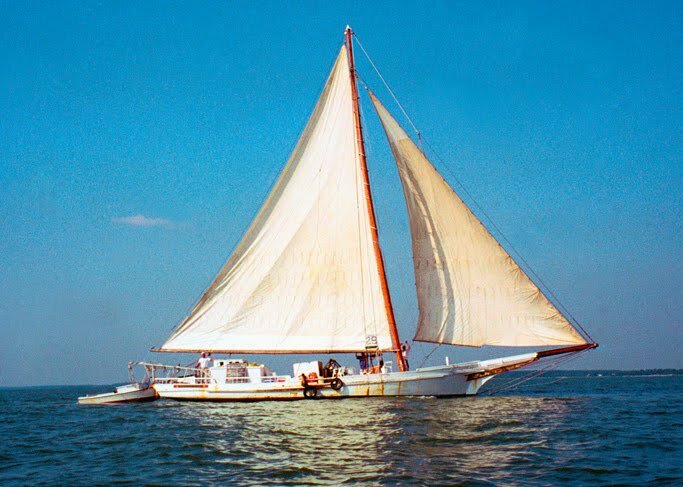 Visitors can also take to the local waters for daily sightseeing tours on an historic 1886 oyster dredging sailboat, the Rebecca T Ruark that's a skipjack for which St Michaels was once famed for churning out from its shipyards, or join organised day fishing trips on others. 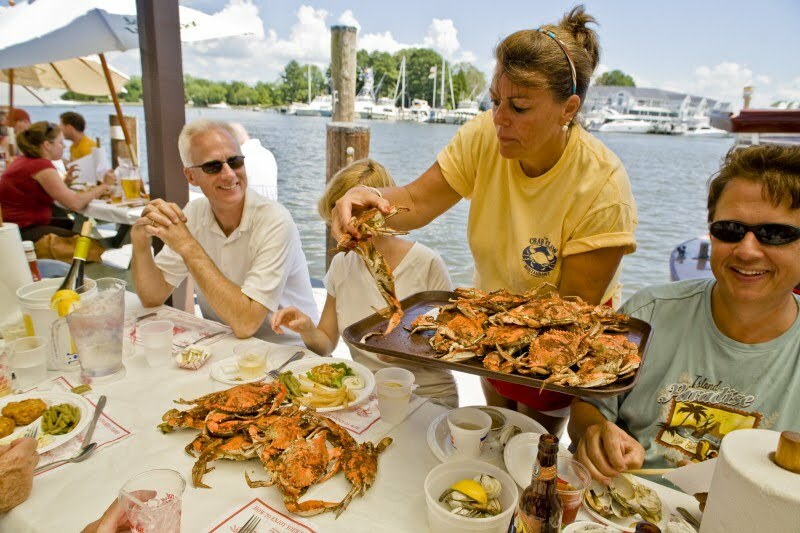 For foodies, local restaurants put great emphasis on the local crabs and oysters still harvested and caught today, there are numerous boutiques, and for the curious a fascinating maritime museum and excellent antique shops. cannonballs harmlessly over St Michaels into a forest of lantern-lit trees.